Whether you're living oceanside, or bundled up in the mountains, usually your favorite thing about your home is where it's located! Here at DecksDirect we believe in enjoying and soaking up the natural surroundings around you as much as you can, that's why we're pleased to showcase two distinct cable railing options from KeyLink. 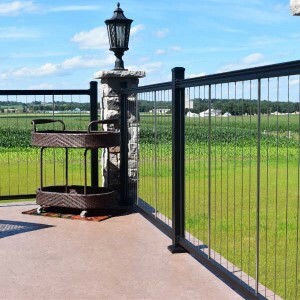 The strength and security of powder-coated aluminum posts and rails meet the subtlety of 1/8 inch thick stainless steel cable to create a railing that protects your friends and family as well as your view! 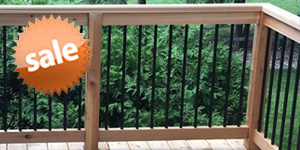 Cable deck railings are growing in popularity year after year thanks to its ability to both protect your family, friends, and pets from any spills or falls while also letting your natural landscape be the star. Both KeyLink systems are created with thick, durable powder-coated aluminum posts, rails, and brackets and feature a thin 316 grade stainless steel infill. Both the horizontal and vertical KeyLink systems showcase hidden cable fittings and hardware for a clean concealed look that also shields your material from water, dirt, and debris. The KeyLink Horizontal Cable system has a first-of-its-kind Corner post that allows for cable to pass through a 90 degree turn easily eliminating the need to double-post corners or start and stop runs. 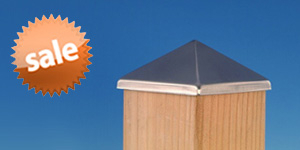 The pre-drilled posts and intermediate pickets ensure a quick, straightforward installation no matter your skill level. For an amazing look that you can arrives to you with pre-installed cables, the KeyLink Vertical Cable Railing line delivers. 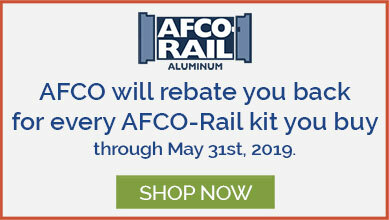 Simply trim your rails to length, pull top and bottom rails apart, and add intermediate balusters where needed for a gorgeous cable system in no time. Not sure what style you like the best? 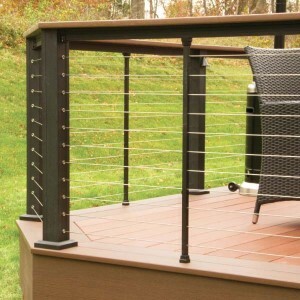 Take a look through our KeyLink Cable Railing Image Gallery to find some deck inspiration and get started on your project today! DecksDirect is here to help you get the best looking deck in the neighborhood, hassle-free. We strive to provide an honest, accurate, and friendly service that you can rely upon. We're the nation’s largest stocking online retailer of deck accessories, you can trust that nearly all items will ship the same business day if the order is placed by 3:30pm CST, Monday-Friday (excluding special order items). At any point in your project, feel free to give our deck specialists a call at 1-888-824-5316 or send us an e-mail at hello@decksdirect.com. Because when your deck looks good; we all look good. DecksDirect; helping people build better decks.